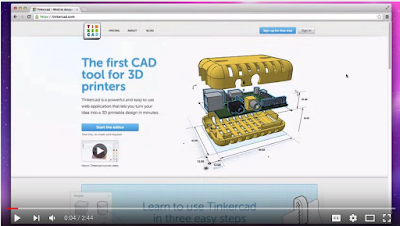 Tinkercad is an excellent 3D design tool that allows you to both create and print 3D designs and models. Tinkercad works right in your browser and does not require any software download. 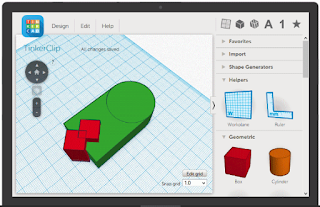 Students and kids can use it to unleash their creativity and design beautiful 3D models. The tool is very simple to use and no technical knowledge is called for. Once your model is created, it is automatically stored in the cloud so you can access and edit anywhere with an Internet connection. You can also print it in 3D format. Tinkercrad supports all 3D printers that access standard STL file formats. Alternatively, you can download VRML files for color printing. Watch the video below to learn more about Tinkercrad.